The Unitech PA968II is a fully integrated multifunctional platform offering a high level of mobility and versatility with its ultra robust Aluminum-Magnesium Alloys housing yet ergonomically design. It is the ideal device for a wide range of applications in Transportation, Warehouses or Field Service. The PA968II offers precise and accurate readings wherever the location throughout the world. Unitech's PA968II is not only designed for versatility but also for durability with an IP65 rating and drop tested to concrete at 1.5m (5feet). Having a strong water and dirt resistant design allows for the most rugged environments and conditions, minimizing down time and repair costs. To work in a harsh mobile environments such as Transportation and Field Service, the Unitech PA968II protects against unpredictable weather effects with its rugged industrial design. Product functionality and reliability are vital performance enhancing features of the PA968II. Time, efficiency and accuracy are of utmost importance in today's ever-expanding market place. It benefits any mobility enterprise greatly to utilize state of the art global communications technology. 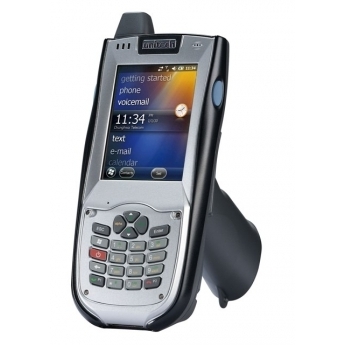 The Unitech PA968II offers just that with its optional intelligent Modularized Keypads in order to meet customers' various needs for different applications. The swappable keypad option enables users to minimize downtime and is convenient and cost-effective for any special keypad requests.